Lisa is fluffing herself up to appear more intimidating in the presence of a perceived threat, although this is something she has no real control over, a subconscious reaction that comes with her new form. Lisa is the Griffin? I thought Lisa was the girl, and Girl was the Griffin. 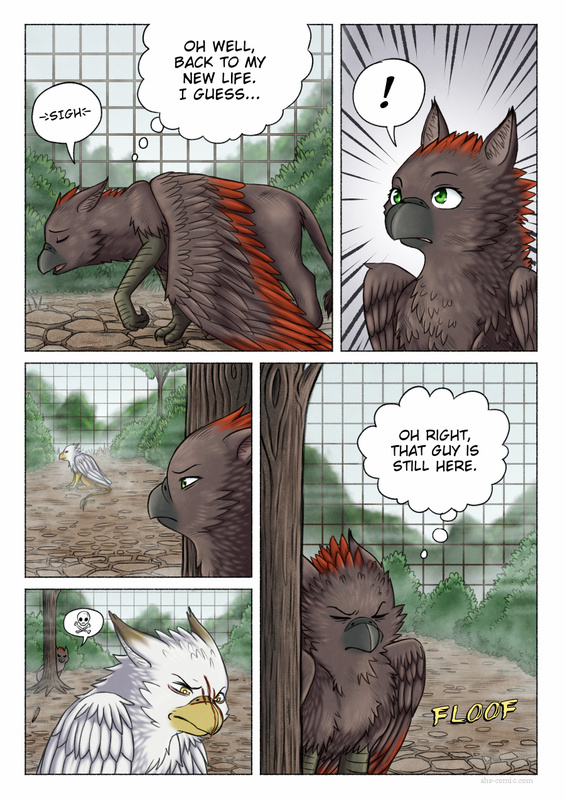 Well… Lisa is a pretty common name for a gryphon, isn’t it??? FLOOF: Fluffy griffon plushies for sale at your local market. Or at least at your local theme park. I gotta say, you do lovely expressions! Just the right amount of irritation and disgust on the last panel.